Santa Brought Alexa. Now, What Should I Do? What is it? Alexa is a wireless speaker that provides you with a voice-controlled personal assistant. It has a "wake word" so that it knows you're talking to it. 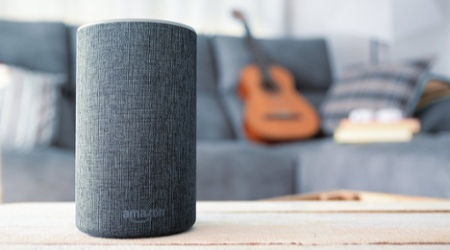 There seem to be two main options – Amazon Echo and Google Home – when we talk about utilizing this kind of device for management of your smart home. It's worth noting that these devices only communicate with "smart" appliances, switches, plugs, and light bulbs that are equipped for that kind of task. In other words, no matter how nicely you ask, Alexa will not turn on or off your non-Wifi coffee maker. This is the firstborn of the voice-controlled personal assistants, and there are a few iterations, so we’ll just stick to the main ones here. Amazon Echo, where Alexa "lives," is a wireless speaker that connects to the Internet. This kind of connection means that it can stream music and podcasts, remind you to do things (assuming you set up the reminder), look things up for you (the weather, the time), make a to-do list (and even purchase some of those items), even tell you jokes, just to name a few. The Echo Look builds upon that idea by adding a camera. In addition to the normal things a camera can do – taking pictures, video calls – it can also make "artificial intelligence outfit recommendations." This all happens through the Alexa app on your smartphone. With that in mind, Amazon built the Echo to support an abundance of smart home products. For each action, you install a “skill” (like turning on specified light bulbs). It can also link up to your home security camera or nanny cam. Amazon has a whole guide online dedicated to teaching you how to best use your new voice activated device. This is Google's answer to the Echo. Much like the Echo it will interact with you and can answer questions, make calls, and control your smart home. It works with any product from Nest (which is owned by Google) and supports many more smart home products. It is designed to work seamlessly with any Android smartphone. How to get started? Contact Wilcox Electric. We can guide you through the process of setting up and getting to know your new home companion. In fact, this is a great time to get our help with your new smart devices.